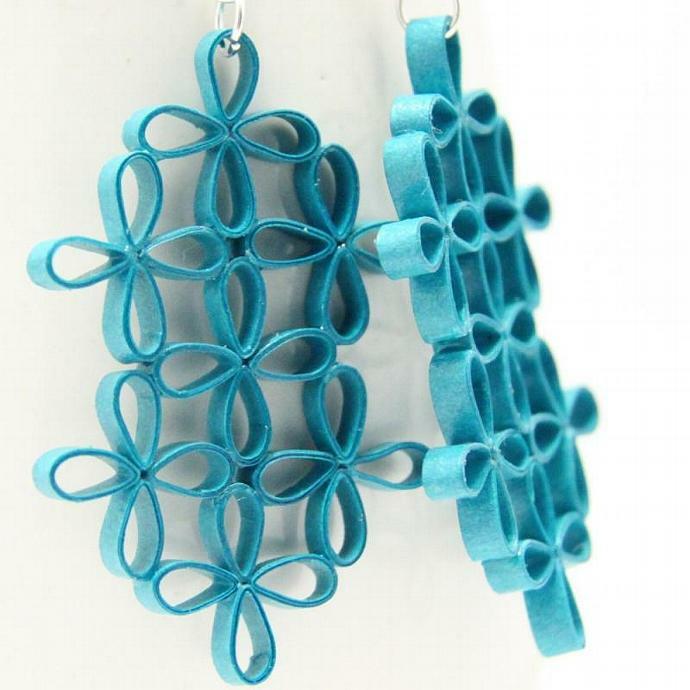 These beautiful lattice earrings are eco friendly and handcrafted by the art of paper quilling. I chose to use a floral design to create this gorgeous lattice effect. Delicate, light, and airy! These earrings are finished with niobium findings. Why niobium? It is non tarnish and as hypoallergenic as pure gold! I will use silver colored niobium unless you request brown or gold. The earrings in the photo have silver plated hooks, but you will receive solid niobium hooks and jumprings. Each earring measures 2" (5cm) long and 1 3/8" (3.5cm) wide. 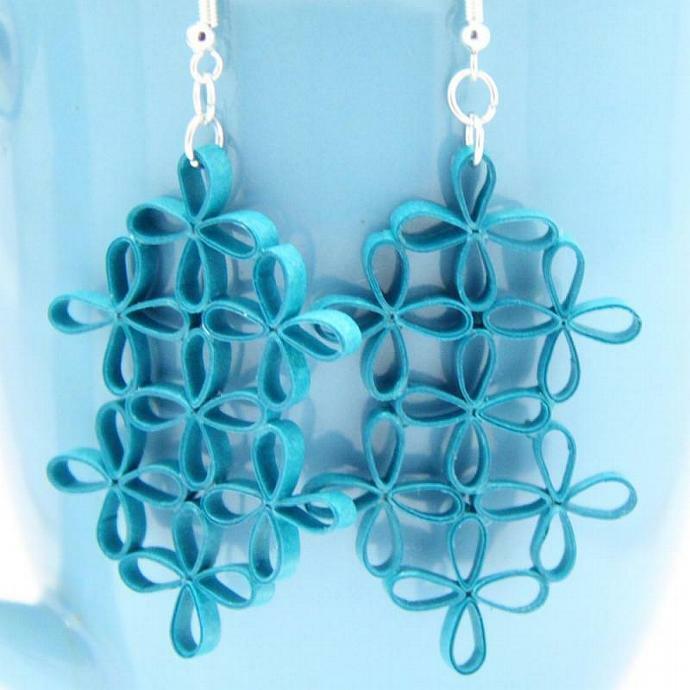 This listing is for a MADE TO ORDER pair of earrings! Please allow 2 extra days for me to complete your unique pair :) I can make them the same color as in the photos, or any color you'd like! 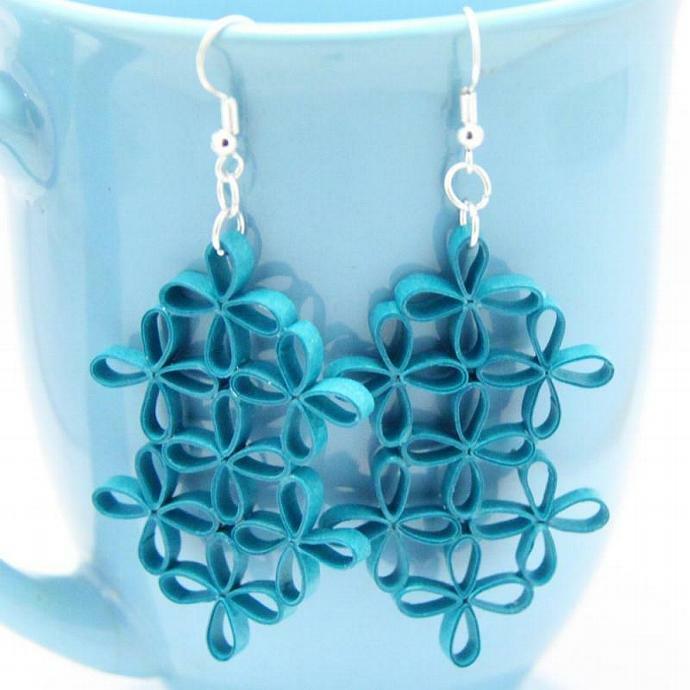 Quilled earrings are super light-weight, gorgeous, delicate in appearance, yet, with care, can last as long as other jewelry thanks to the water resistant coating.